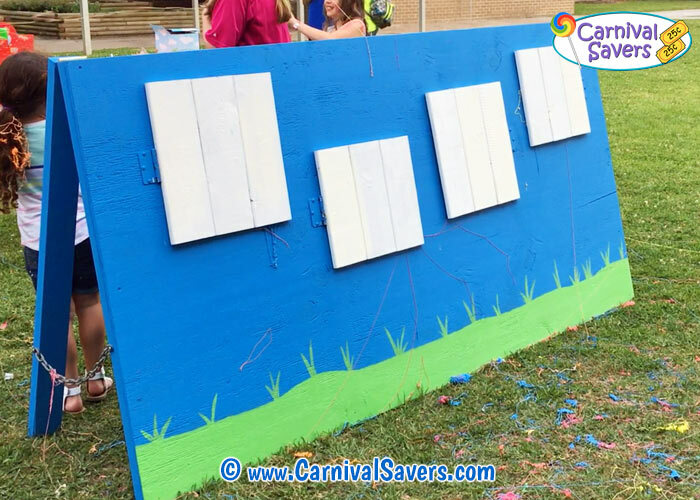 Pick a Door - Fun School Carnival Game! School Carnival Game: Pick a Door! Volunteers switch the signs between players. Kids have a 1 in 4 chance of winning a top prize! Obviously, you will need an adult volunteer who is good at constructing things with wood and possibly someone else who can paint your game booth to add some color and personality! First, your volunteer will need to cut 4 holes (about 18 inches square) into the plywood for each door (of varying heights) - see the example. A clothespin will be attached above each door on the back to the board to hold the signs. Next, the volunteer will need to construct the frame to support this game. Also, the small doors need to be constructed from the sanded wood boards. Make sure they are rounded and sanded well to prevent splinters and sharp corners! Finally, a few coats of paint will make this game really pop! Before the carnival, set out your game and have a table available for the supplies including the party string, disappearing ink or water squirts and the top prizes too! Players get to choose one door, in hopes of finding the top prize sign behind the door. Door #3: No Sign - Player is sprayed with the magic ink, party string or a water squirt toy! Door #4: Sign "Frowning Emoji"
*After each player, have the booth volunteers switch the signs so the next player does not know what is behind each door! 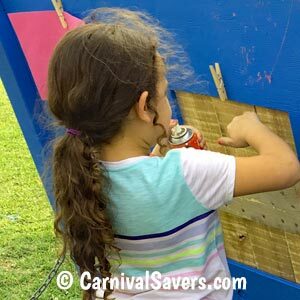 What a fun surprise type carnival game to add to this year's festival, fun fair, school carnival and more! 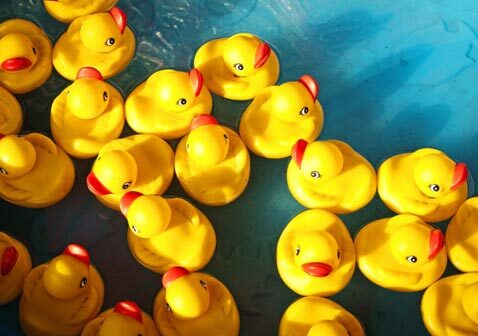 As far as figuring out your prizes - be sure to do the math! Players have a 25% chance of winning a top prize. So, if this is a fundraising carnival for your school, make sure to charge enough tickets to cover the cost of the top prizes with some left over for a profit too! For example, if your top prizes are worth $1 each, we don't recommend you charge 25 cents to play this game as you will lose money (you need to purchase the items for the squirt door too!). We would recommend you charge at least 75 cents - $1 in tickets for each player to turn a nice profit on this game. If you wish to charge just 50 cents for each player, then choose top prizes that are valued at about 50 cents each! Note: This is a fun game for volunteers to run too! Don't be surprised if they get a little crazy with the party string, magic ink or squirt toys - so buy extra so they do not run out! If you are on a budget you may with to chose the squirt toys, as those can be reused year after year and you can refill water as you need! Finally, as you most likely noticed, this is best played outside to avoid the indoor mess and possibility of slipping on water indoors. 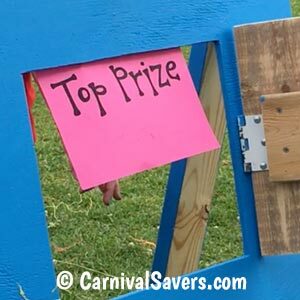 PICK-A-DOOR SUPPLIES & FUN TOP PRIZES for THIS CARNIVAL GAME!